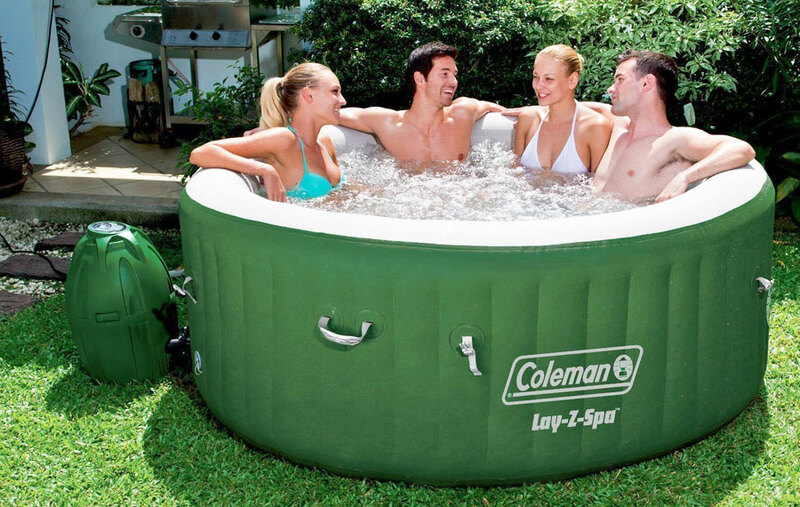 Summary: This is a great inflatable hot tub and very good value. You can see why it is a leading choice on Amazon and so popular. It is a great size, easy to set up, easy to maintain and very relaxing and enjoyable. At such a great price point it is difficult to fault, it really is a great spa for the summer and ideal for all the family. 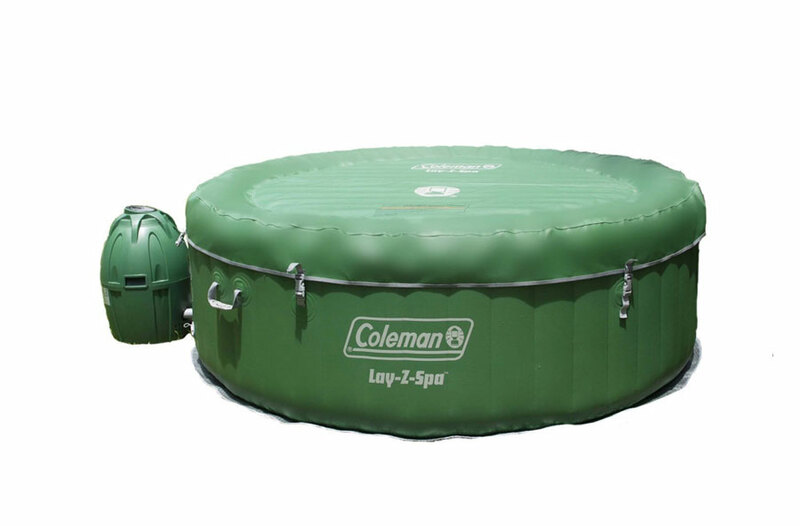 The Coleman Lay-Z Spa Inflatable Hot Tub is designed for 4-6 adults, coming in a dark green exterior and having a modern mosaic print pool liner, it is quick and easy to set up. 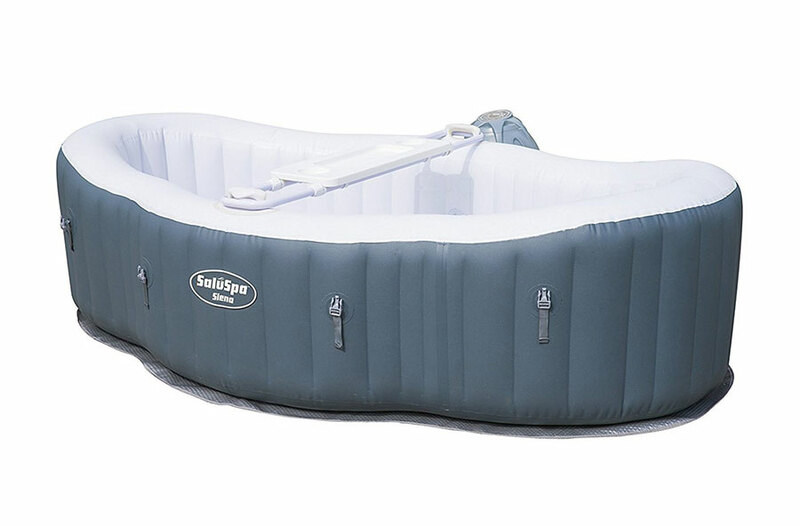 On Amazon US this is one of the leading inflatable spas, over 350 reviews left and a 4.5 star rating at the time of writing. Below is an overview of the key features of this inflatable hot tub and the need to know when buying and comparing with others on the market. Designed with 120 air jets running around the bottom edge of the spa this hot tub creates a soothing and relaxing experience. Suitable for 4-6 people this is great for families and evening parties with friends. Setting up is very easy and straight forward. just lay out the spa liner roughly where it is to go, and set it to pump up, once inflated position the hot tub and then fill. Holding 254 gallons once filled it will take a few hours to get there. When the water is in your can then leave it on overnight to get the water up to temperate, this can take up to 10 hours. In the box you also get a DVD which shows you and walks you through the steps of setting it up which is very useful and easy to follow. No special tools are required and it runs off a standard plug socket. This inflatable hot tub comes with a pump system that has touch controls on the top that are very easy to understand and use. Here you can turn the air jets on and off, set the heater and adjust the water temperature.The buttons are also water proof so it can be adjusted when in the spa with wet hands. As well as inflatable side walls this spa also has an inflated base which gives you a cushioned area to sit on when in the spa while also helping add a little insulation from the ground and help keep the water warm. You also get a inflated spa cover that goes over the top when not in use and clips on to the sides. This protects the water from debris and animals getting in, as well as insulating the spa and helping to keep it warm. Once inflated this hot tub is 77 inches in diameter and 28 inches high (1.96m x 71cm). This hot tub can be used indoors or out, it is perfect for the garden and on the patio outside. It can be used indoors however there are a few things you should consider and be aware of. When in use the hot tub will generate a lot of condensation and could turn your room into a sauna, so keep it well ventilated. Also consider people getting out of the spa and the water that will and could bereft all over your flooring. Due to the weight of the spa once fill with water and then the additional weight of 4-6 adults it is not advisable to use on a balcony, and it is also worth checking your deck to ensure it can take the weight too. 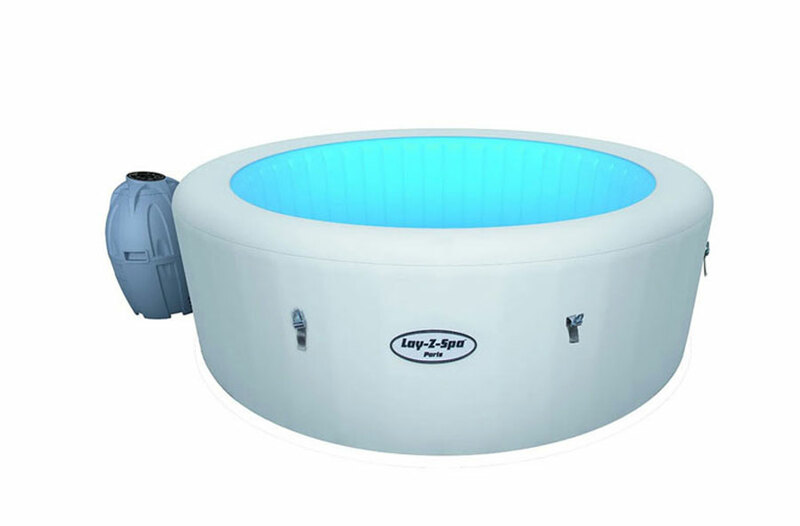 The Coleman Lay-Z Spa Inflatable Hot Tub is perfect for families, great for parents and kids to all enjoy at the same time. The size also makes it ideal for couples and allows them to also invite friends over to use too and evening parties. 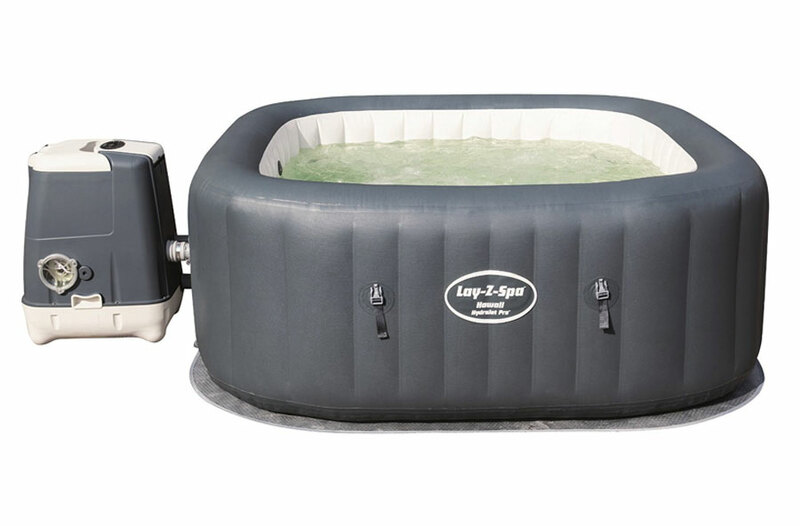 This is a great inflatable hot tub and very good value. You can see why it is a leading choice on Amazon and so popular. It is a great size, easy to set up, easy to maintain and very relaxing and enjoyable. At such a great price point it is difficult to fault, it really is a great spa for the summer and ideal for all the family. I cant find the draining port on my coleman sula spa, so how do I drain the water out? There is a drain tube that hooks to a hose near the outside bottom of the unit.